DoingTimeWithBernie.com: Jonathan Gilliam thinks Felon Bernard Kerik "sets the standard for others to follow"...Wait, What? Jonathan Gilliam thinks Felon Bernard Kerik "sets the standard for others to follow"...Wait, What? 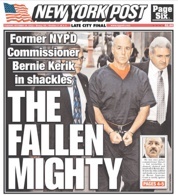 In an apparent effort by felon on probation Bernard Kerik to deflect and distract from all his negative "court activity" as of late, the corrupt cop on federal supervised release has taken to Instagram sucking up to veterans, cops and kids to remake his image. On Bernard Kerik's Instagram on 01/07/15 was a seemingly staged photo-op of the felon in a creepy bromance hug with former navy seal Jonathan T. Gilliam. 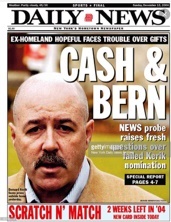 Well, DoingTimeWithBernie.com thinks Jonathan Gilliam may need a history lesson on Bernard Kerik. Let's take a look. Mr. Gilliam, which one of these "standards" are you striving to follow in your stellar career? 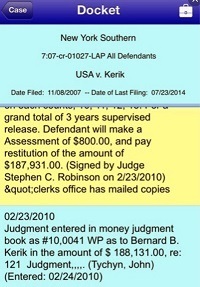 Credit: Southern District of New York USA v Bernard Kerik still owes over $180,000 criminal restitution Jonathan Gilliam thinks Felon Bernard Kerik "sets the standard for others to follow"...Wait, What? 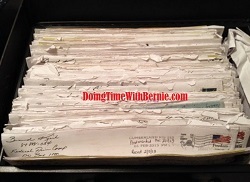 DoingTimeWithBernie.com heard Gilliam is a decent Christian man who has served his country honorably and trying to break into television. He apparently naively thinks Kerik can be his ticket in. Wow. Remember, he was warned. We all must learn that lesson and "feel the Bern."